It is a requirement for all students to maintain the school’s Dress Code. The Code is a good and affordable alternative to a full prescriptive uniform. It allows the selection of styles within a range, caters for all seasons and is comfortable. Improves safety and security. 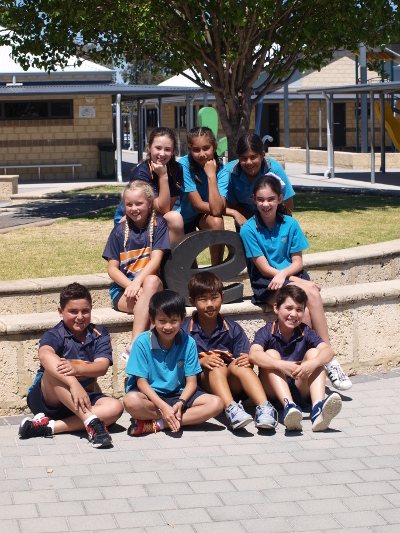 Uniforms allow students to be easily identifiable within school grounds and when on excursions. Students are not permitted to wear shirts without a collar or with advertising or logos. Tank tops or shirts that do not meet pants/skirts are not permitted. The wearing of denim is not permitted at Department of Education schools. Clothing that is not purchased through the Uniform Shop should be as close to the school colours as possible. Students must wears shoes that are suitable for playing, running and jumping. Children must be able to manage their own footwear i.e. laces, buckles, Velcro. Wide brimmed school hats are compulsory. As a Sun Smart school we do not allow students to play in the sun without a hat (regardless of the season). Address: Unit 1/16 Prindiville Drive, Wangara.